Till Kendras are afflicted by Nodes, Mars and Saturn there will be complete instability in Banking, Finance, Share market, Treasury & IT Industry those are working in Hardware based Service industries like IBM, Dell, HP etc. Telecom Sector will be challenging and there will be need of good and on-time services, Mechanical Industries will require more hard-work and labor from employees.There will be pressure of Extra productions in Mechanical and industrial sector. Boss will pressurize more in Mass laborious industries. Working environment will be demanding & more challenging to breathe peacefully. Employees will seek relaxation and peace of mind in working environment but unable to give their best.those are naturally hardworking can do their best on time services. There will be demand of Extra disciplinary services in working environments. Marketing sector will keep wandering for Projects but they will get empty hands. Iron industries will be in verge of closing projects. New competitors will emerge in Iron industries. Revenues of companies will decay gradually and there will be possibility of financial scam in market trend. Client will be demanding and want more attention and production in industrial sectors. Keep enjoying the Stiff and disciplinary environment created by Mars and Saturn. This situation will be more Strict till August 2016. Afterward there will be relaxation. Market will be tough for new jobs. Don’t jumps for new jobs till August 2016. wait for August 2016 when Jupiter will be 3/11 Relationship with Saturn. Currently Capricorn, Gemini, Cancer, Virgo Lagana will enjoy new jobs. Aries, Taurus, Leo, Libra, Scorpio & Aquarius lagana will enjoy Hard and Stiff disciplinary working environment. Sagittarius & Pisces Lagana will enjoy change of place or chances of transfer in their working locations. 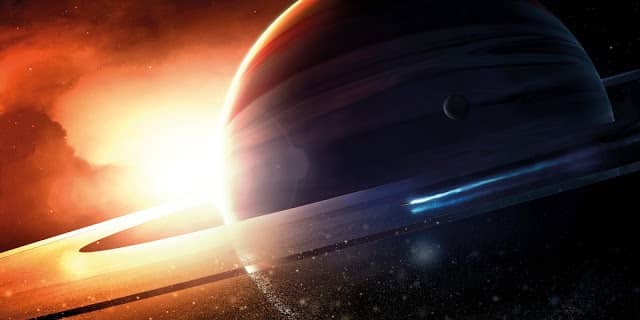 Retrogression of Saturn in Scorpio in Jyestha : Impact of Retrograde Saturn on ascendant, its a Time to evaluate your true goals hidden beneath in subconscious side. Retrogression of Saturn in Scorpio in Jyestha – Time to evaluate your true goals hidden beneath in subconscious side. Saturn is currently in Retrograde in Sign of water (Scorpio) in Jyestha Nakashtra placed in Square to Retrograde Jupiter in Fiery sign. Nakashtra Lord Mercury is in Debilitation state too. Two Retrogression elemental energies Clashing with each other and creating a situation of rebellion in deep inner side – that’s what is called retrogression – A new prospective hidden in your original personality. Later After April 2016 – A True Rebellion Leader will born in you either you will become too rude or too Rigid. those who can handle such immense retrogression energy will be a born leader in near future.This is the high time to think deeply in deeper emotional side what were you doing wrong from the last couple of months, where were you stuck in middle of way, why you were not real, why you were not able to fix your situation and why you ignoring your real karmic duties. Saturn will force you or give you plenty of time to think more and more to evaluate your real practical personality simply to get evolve in practical world. May be you stuck in challenges or in hidden jealously prevail in working environment by the people try to challenge your credibility but ultimately you have to fight back those situations given by people and get rise ultimately. Saturn will warn or make you more tough and serious and will make a complete changeover in your viewpoint of life. You will see many new values in you whom you might be ignoring in past months or years.You will see why world is so rude out your boundaries and why you are not enough competent to fight back. This phase of transformation will keep up-to till Sun reach to Highest Retrogression energy in Taurus sign. After attaining highest chesta bala in Taurus Saturn will totally transform you in real and practical world. After this you will become real you who can survive in any situation. Till Sun reach at Taurus you see many challenges in life from many known and unknown people around you. Kendras are representative of public life, so you will you see many new challenges in society from your very own people whom you were trying to totally dependable on them. It might change your ideology regarding your daily routines, might be your ignorance in work, might be negligence toward your real motives and true thoughts. Saturn is telling you currently try to make yourself independent in emotional side. Release all your Emotional thoughts which keep burdening you and try to be in an independent state of all duties and think of those karmic duties which you were neglecting from long pending time. this is the time to think from much more deeper prospective level about whats your true goal in your life are, will show you who is real and who is unreal and whom you going to rely. Challenges and challenging people (Mars) will keep try to shatter your dreams and try to make you weaker from inner side in deep emotional nature. Its the time when you only have to think from your own soul level not from any other such Outer prospective thoughts of people. Its the time you have to spent your thinking to yourself only leave all people aside. your deeper Level of Sixth sense will develop during this time period and you will able to think more on your real targets of life. you will either try to change your profession or you will take your life too seriously might be you were ignoring from many months. Retrogression of Saturn only meant to make more disciplined ideology in life , be more realistic, thinking on big projects on real ground not in imaginary world. It will make you much stronger internally in emotional side and your deep hidden independent talent will come up after deep challenges you will meet in your Work areas, as Jupiter is also retrograde in fiery sign with Nodes. The Firing and igniting Deeper wisdom of Jupiter will transform your internal side of Saturn very soon after April. 4/10 Relationship is always be a time to work on ground reality rather than totally depending on people and what time is giving you. Trines works like a driver is ruling your life but in Kendras you have to work on your own wisdom, you have to make efforts and you have to work in actual reality.no one will move you further. its the only your deeper hidden thoughts will build your inner personality much stronger. This is the time to agitate your thoughts and ideology to bring real you in society. People (Mars – Fiery Nature – turbulence in emotional values will increase) will challenge you after April 2016 to till August 2016. Situation will calm down when Jupiter will be in 3/11 Relationship with Saturn. Its a High challenging time for Aquarius, Capricorn, Gemini, Libra, Leo, Scorpio and Taurus Lagana people. Strength of alone Yog Karka and Raaj yogas planets in d1 chart never justify its results.we have to see many factor i.e strength from Lagana and Moon and rest of Divisional charts but most important is its Yoga bhanga strength factor that only could be seen from D9 chart. Raaj Yogas fruitfication depends on two conditions – firstly Navamsa Strength of that Yoga-karka planet and the factor of Yoga Bhanga in Both D1 and D9. 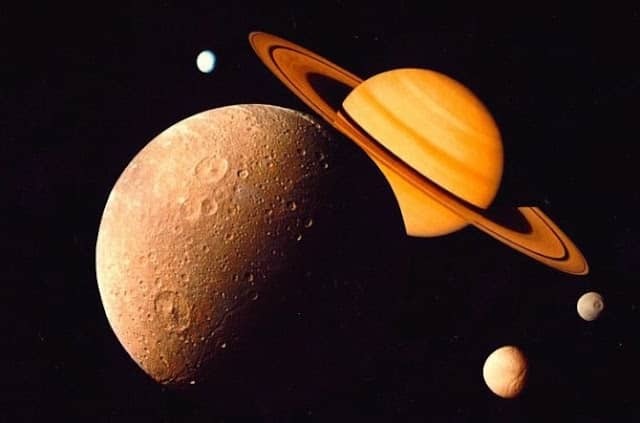 If someone has exalted Saturn placed in lagana in D1 chart and same if it is weakly placed and debilitated in D9 it is preciously causing a Yoga Bhanga for Saturn.According to this rules Saturn would be considered as weak and we can not see its results according to its exalted state and good placement in d1 as the life source it is getting in d9 is not enough to breathe for longer periods and it is not able give its Exalted Results fully. Firstly, Saturn is placed in 1st house considered as Maran-karka Sthan (Weakly placed 1st House – Lost the Sthan Bala – Unable to fruitfy due to weak by placement), though whole strength will be fully dependent on the Dispositer lord strength (Venus the house owner) in D1 and D9. If Same house owner is weakly placed in trik bhavas or afflicted with nodes we can say owner is itself suffering due to external factors and environmental based conditional situations- So how could he help Saturn. Its like a situation of how could i help if i am already stuck in prison due to my sins and debits. 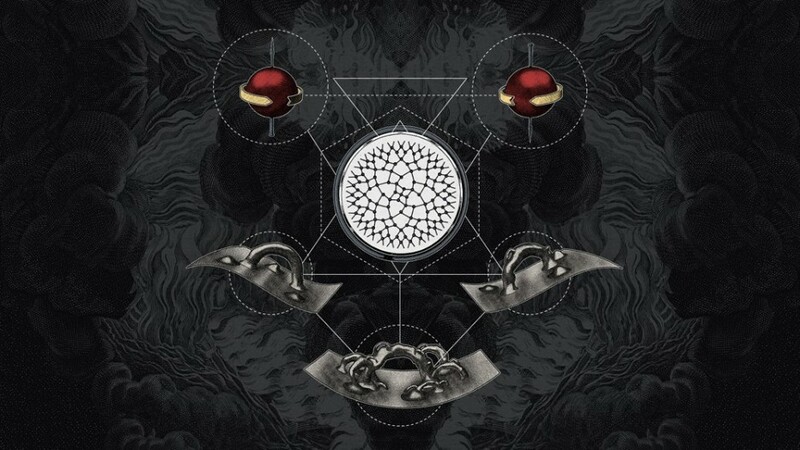 Nodes afflictions are simply representation of Karmic impressions of past birth connected with current birth sufferings and realizations. Secondly, here in this condition Saturn is suffering through Yoga Bhanga factor (Cancellation of Yoga) in D9. It simply means may be native get lots of opportunities to grow or rise by his some of Good karmic blessing in current birth. But if environmental factors are not supporting, native can lose everything if he isn’t able to sustain or support those conditions created by external factors or by those people. Those situations are given to him might be act as blessings or a curse totally depend on his past Karamas. Debilitation creates hurdles, obstacles and uneasy environment might be a lesson for native and exaltation are result of easy going situations and fruits as a result of good sanchit karmas as acquired by support of external factors and people. Here any Negligence of native can be major factor for fall in his life.vice a versa situation of exaltation and debilitation creates situational factors for fall. For e.g if One has an exalted 7th lord in d1 and but at the same time it is debilitated placed in D9 with debilitation of Venus too.If there is malefic influence of Sun, Mars and Rahu on that 7th lord too in d9 than what could be possibility of marriage or relationship longevity strength ? Answer is ; Because of Exalted 7th lord and Good Strength in D1 native may have a good and long lasting Loyal relationship of 7 year duration but it can suffer or break at any moment after marriage due to native own mistakes or ego clashes or constant bickering between couples. Here external Environmental factors are playing major role and they can create whole goody things into a mess and native can face separation but results would be depends on the strength of the 2nd lord from UL (Up-pada Lord). 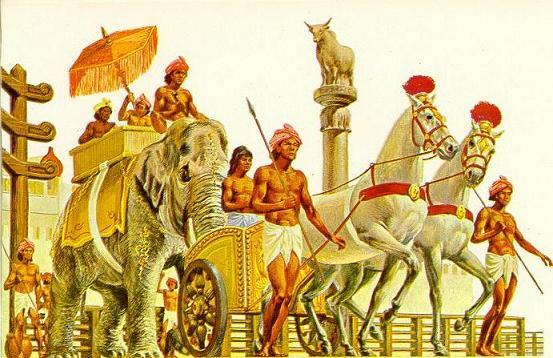 Lets says in simpler words an old men can Get kingdom (D1 Exaltation –Blessing from ancestors) as a blessing from his ancestor to run it but due to native old age factor (Debilitation in D9 act as a Weakness or inability factor) he is unable to enjoy the fruits of kingdom fully, still he will be the king of his kingdom and can lose its kingdom at any time. Here external factors are his age and at what time he is getting ruler-ship and percentage of support from his own people. D9 is like an extra life support or an extra oxygen cylinder to breathe as blessings from past actions by the divine. D9 is your fruits or dharama karmas you had acquired in past. Whenever any planet is weakly placed or Debilitated in D1, & if same planet get strength from other beneficial planets or get Neech-Bhanga yoga in D9 from dispositer lord, planets can live for much more longer periods or can give some positive results even the planet has lost his own strength but help from others can work as wonder. Its simply because of the extra oxygen support in D9 from other planets to breathe or survive for more days and time duration. If Moon is giving extra life support it means mother role will be a major role play here for sustaining the native needs and requirements, if sun, than Father or bosses could be supportive, if mars, than help form brothers act like miracles. So, you can apply this principal for others factors too for checking influencing factors for other relational karkas. Same way if any planet is exalted in D1 but debilitated in D9 result can be reverse if the environmental factors won’t support them. Debilitation simply means one has to put more effort in order to achieve or get success in any venture or have to fight more from the environmental factors. Exaltation means with little effort one can get everything. king can Lost his well blessed Kingdom(D1) due to his own Mistake if he do blind trust on his kith and kins. Here Blind trusts in Kith and Kins are Environmental factors and weakness is Blind trust (D9 plays major role in weakness and Strength factor) and either they can support or either they can destroy him. Karma is widely considered as a continuous process, always in motion and moves with perfect order and speed. Every karma has its perfect order and bind with multiple time threads those made out of our karma either in past, present or in future actions. Whatever we do in any form either physical one or mental are simply connected with these time threads and every action and thought travel in universe also connected with these multi-verse time threads, thus shows how time is connected with every and each part of our karma which means karma is an eternal process and has perfect order and rotatory speed. na—nor; hi—certainly; kaścit—anyone; kṣaṇam—even a moment; api—also; jātu—even; tiṣṭhati—stands; akarma-kṛt—without doing something; kāryate—is forced to do; hi—certainly; avaśaḥ—helplessly; karma—work; sarvaḥ—everything;prakṛti-jaiḥ—out of the modes of material nature; guṇaiḥ—by the qualities. ” karma is a flow and no one can sit idle, everyone has to do its associated karma to survive in the karmic world, even god itself never sit idle either it is a physical or mental one. Karama always in action even when one is not willing to act in any way “. This shows how god is itself in motional form but the rotational speed of god and our karma bind with us Only with our soul and way we think broadly that only decides how we can understand god around us and how our karma matters much in understanding actions of planetary forces. Now, what are Time threads? The Question was: What is Time? Mr Greene said: “The mechanism by which you can notice the change is exactly the definition of time ” He suggested that it may be a derivative idea, an emergent property, not elemental to the first equations of physics. The equations certainly do not distinguish between past and future. In fact, all moments of time are in existence. 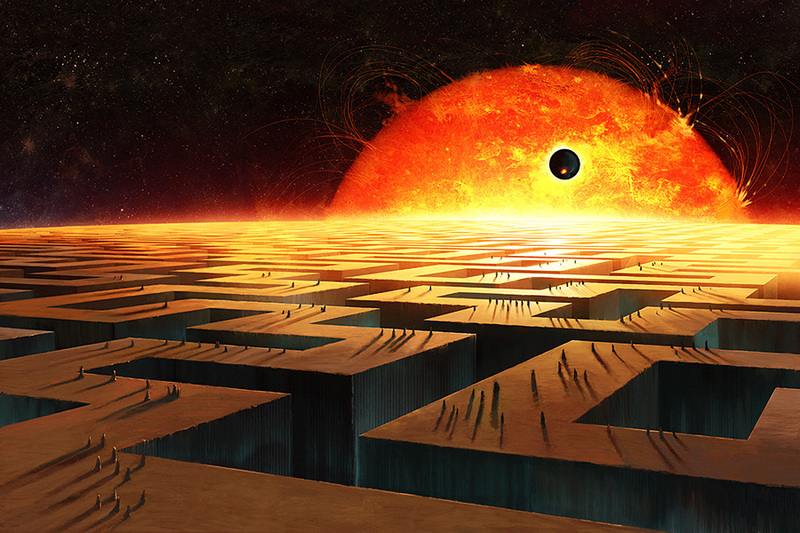 We can imagine an expanse of space before our eyes, but not time. This is merely a limit of our representative imagination. It is just as “real,” even “material,” as this computer, or the Pacific Ocean. Why do we experience a sequence—a passage, a flow—of time? Mr Greene offers an evolutionary explanation. Establishment of a now (including an imprinted past in the form of memory) distinct from a future leads to predicting and anticipating, planning and striving, brain-initiated functions that encourage acquisition of energy until the replication of DNA, and thus survival in nature. Mr Greene insists that there is no mathematical distinction between present and future. There is no unique NOW. (“And is that, is that what they’re thinking these days?” said Mr Kaufman, mind blown, to a laugh). Words ultimately fail here– although Mr Kaufman’s, writer that he is, was often perfectly selected. “Now is a function of a brain. If there is no brain, I think there is no now. It just is, whatever that means.” (“Do you guys . . . smoke a lot of pot?” the novelist and Kaufman-collaborator Susan Orlean humorously asked during the question period). Let it be known, too, that quantum physics complicates this picture. 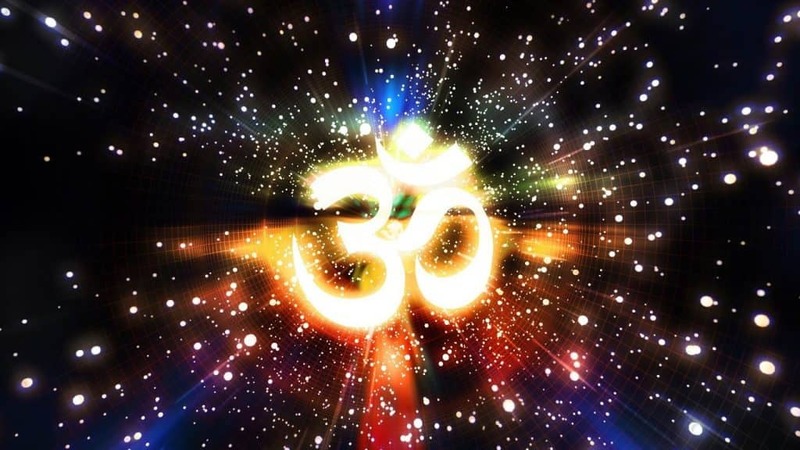 What is time in Vedic Cosmology ? The Hindu concept of time is cyclical (and eternal and degenerative). 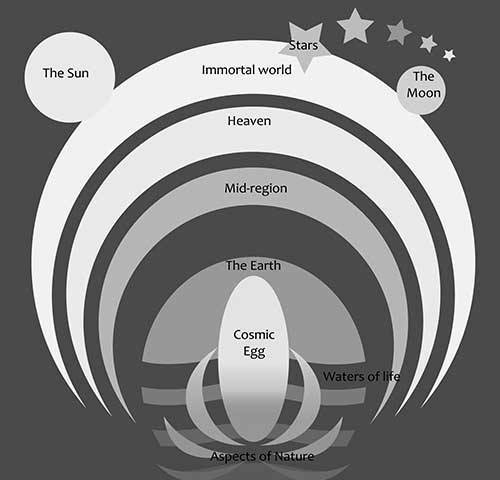 Time is preciously based on two schemes, one is used for creation and destruction of planetary structures for human beings and it is endless, eternal and cyclic in nature and another part of the time is purely mathematical also cyclic in nature and preciously exist in both material and non-material form. That shows time is circular and cyclic in nature and keep moving around us. Question is how we can relate it and understand it in our day to day life actions. The answer is simple – Our Karma decides how we move in time threads. The karma we do decides how it has perfect speed and harmony with nature itself. If we look out at scientific definition of Time is what -It is also simply a cyclic or circular motion and follows a certain amount of speed based on our karmic energies based on spiritual aspects. If we compare it with planet’s – they are also in motion, cyclic and circular in nature too and thus shows they too have some karma or actions or certain amount of energies associated with them and follows certain order and speed since many eras from the beginning of creation with many variations in speed and motion shows root of everything, including time is – The speed and Motion of our karma. Something’s keep flowing and keep moving everything in perfect order is simply our karma and energies associated with those karmas. Take an Expression as T – Time, K – Karama and P – Planets and write it down as a direct proportion relation of karmic motions acting as key and shows a formula for decoding time and karmic link. i.e Time = Karama x Motion + Cyclic loop, Planets also works on same phenomena = Speed x Motion + Cyclic Loop. Moving in certain order following a system. That shows Both time and Karma is Interrelated to each other in some way, what we do directly effects our time threads and same effects thus are seen via planetary movements too. This means that everything is karmic in nature from individual actions to natural disasters at a particular location’s. Our karmic energies thus influence actions pertaining to natural forces either it is individual or its a group actions. If you want to understand how planets are effecting us this is the answer for them those who are always in a state of dilemma how planets affect our karma and how our karma are interrelated with planetary action in a vice versa relationship. This proves Jyotish Planetary science is simply a karmic science based on our karmic actions and energies associated with them. The motion of planets is simply relative to our motion and speed of karma.How well we do our karma will decide our destinies and planets effects will reflect it in the same and can be astrologically analysed.Same way the time is moving karmas are also moving and relative with our planetary speed and motions. If you can move your karma fast maybe you can cross time dilatation and able to travel in an interstellar manner. Simply, Time, karmas and planetary motions are moving in perfect harmony with each other if you stop, time will be stop for you but it will keep running eternally in background as always endless in a circular loop. 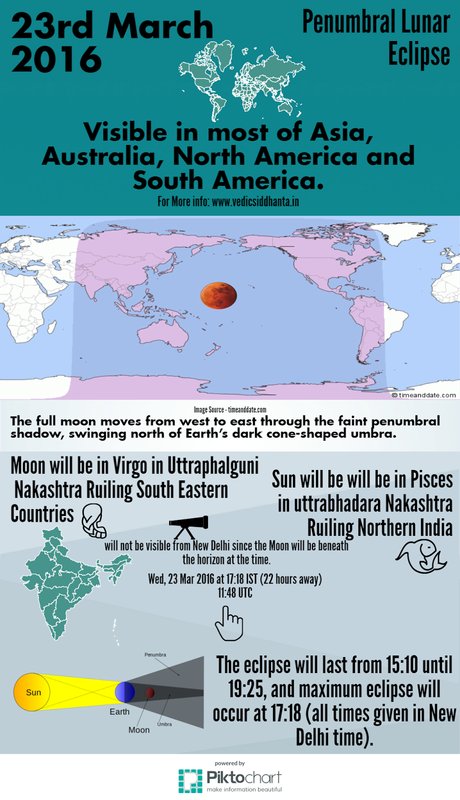 According to Vedic principals, 23rd march minor lunar eclipse will fall in uttraphalguni nakshatra in Virgo sign when the sun will be in exactly opposite in uttrabhadra nakshatra in Pisces sign. During this lunar eclipse, Mercury will be closely conjoined with Sun within 2 degrees of orbital difference.According to Koorma Chakara, this eclipse will fall in Sign of India and Mostly it affects Northern and South-eastern states of India and Asia, Australia, North and South America will be most affected by it. According to Indian Political chart, this Eclipse will fall in 5th-11th house axis, Northern and South Eastern states of India need to take care. Wednesday eclipse is falling in Fire circle nakshatra and the symptom will be observed within a week. Mars and Saturn will be in 3rd from Moon, Rahu and Jupiter will be in 12th from Moon and South Node will be closely conjugated with Venus. Usually, it has been seen whenever Moon and Mercury fall in opposition during eclipse we have observed a dramatic shift in weather situation i,e sudden rainfall, cyclonic activities and rainstorms etc to those countries falling under eclipsed areas. Tomorrow Eclipse will be falling in the category of minor eclipse but it is falling within a gap of 15 days from last solar eclipse occurred on 9th of March 2016. The mundane point of view it has greater meaning since from Vedic periods. Whenever two eclipses have been observed within the span of 15 or 30 days usually Mass tragedies, unusual and sudden mundane activities have been observed within a month or could be either day before or after it where the eclipse will be visible.This can be true as soon after this eclipse we are going to see retrogression of 3 three planets (Mars, Saturn, and Jupiter) in month of April 2016 in Square (Kendra) relation to each other. We can observe Dramatic shifts in weather, increase in earthquake activities, Minor warning for tsunami’s, sudden tragedies, increase in Anti-national activities and level of vehicle-based accidents or plane hijack’s or air crashes could be observed.It is not a dead sure principal that events are likely to occur but we have been observing since past mundane events soon after retrogression of planets with eclipses. It’s simply because of change in apparent motion of planets wrt to Earth closeness with elemental conflicts of signs and planets those are falling in square and trine relation to each other. In April 2016 Mars and Saturn will be retrograde in Watery signs and Sun will be having a relation of 6/8 signs to each other. North Node and Jupiter will In fiery signs trine to Aries – something like sudden, irrational and outbursts like situation can be observed. When Mercury cuts the Moon and then departs therefrom, there will be trouble for the country of Magadha (Bihar). The city of Mathura(UP) and People living on the banks of the river Vena. In other places, there will be peace and plenty. Let’s see what is written in the destiny of the world. we can only pray and hope for the best of world peace and integrity. Stars works on universal principals.we are nothing against the working principals of nature and neither we can change anything in material world.its the time and nature who decides and balance it for establishing harmony in the world. 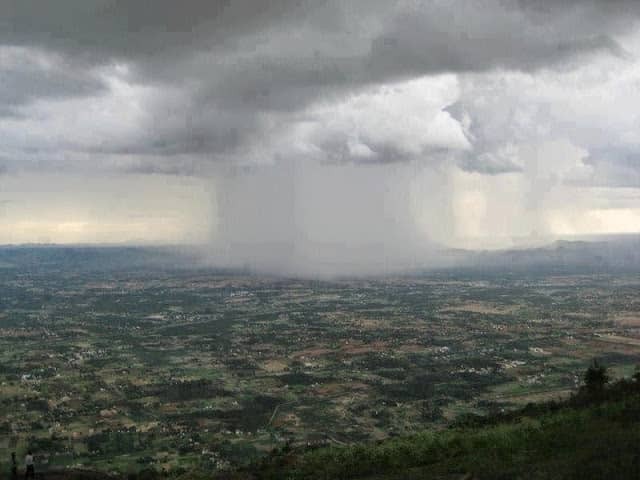 Mundane Astro-Meteorological analysis of Rainfalls: How we can Calculate and cast Rainfall and pregnancy of clouds for upcoming Monsoons clue based on principals of early Ancients Ages. How Rain Calculated and casted in Ancients Ages for Monsoons. As per the early Ancient observations the four days commencing from the eigth day in the light half of the month of jyestha (i.e 4 days after the mid of the month of the may and june – from 15th may to 15th june) fall in may and june month are Known as Vayu Dharan- The days when the winds movements seen and observed in the jyestha month freely from North-west to East direction with full of rich amount of moisture in it. Those 4 days when wind is heavy moving near around moon movement in Swati to visakha nakashtra are vital clue for judging the nature of health of the Pregnancy of the rain-clouds for up-coming monsoon seasons. Here observation of wind direction and its richness with Apah, movement in these particular 4 days is most important.If there is no wind in those 4 days we can expect coming months will be much dry in nature as well as humidity will be more. If there is enough winds in those 4 days, should be like gentle , agreeable and if the Sky Should be covered by fine, bright clouds than there will be possibility of good rainfall in Monsoon else monsoon will be bit delayed and level of humidity will be more. From 15th June onward if you observe any possibility of rain drops or moisture contents in air than there should be enough rainfall in continues 4 days when Moon will Passes through Swati to Jyestha Nakashtra (Libra Sign to first Half of Vishkha). If there is rainfall during Swati to Viskhka Nakshtra for full 4 days than we can say with surety that the monsoon is near to Shower full of insistent rainfall in Shravana to Karttika Month (August to November) else there will be possibility of drought like situation in rainy season. This is an easiest way to time entry of monsoon via own sense of judgement and to get clear understanding on clue for rainfall during Sharavana and Karttika month. Only thing required is you need to keep observing the movement in sky, the direction and pregnancy of winds and clouds. You can observe this fact in coming jyestha month (Commencing after 5th of june 2016, 8th bright light day will start after 12th of june and those 4 days will come around 15th of june @8:17:00 Pm to 18th of june 2016 ) when moon will be in Libra sign in swati nakashtra in verge of moving to Vishakha with Mars (Fire) and Saturn (Air) already there in sign of Scorpio (sign of water) and at the same-time North Node (Rahu -suddenness and airy) will be in Kendra to both Visakha nakashtra. The main planet of rainfall – Jupiter will be in 11th from Saturn and Mars. So Keep an eye on those 4 days. If there is an Indication of rain in this nakashtras than you can expect monsoon is very soon to come. Om That (Supreme Brahman) is complete and infinite, is always infinite, and this (Conditioned Brahman) is infinite. The Infinite (conditioned Brahman) proceeds from the infinite (Supreme Brahman). (Then through Knowledge), Realizing the infinitude of the infinite (Conditioned Brahman), it remains as the infinite (unconditioned Brahman) alone. Which clearly means god has no ends, it has endless forms and formations and every formations emerged from one and another, even if remove any form it will remain complete and infinite. energy can neither be created nor be destroyed only it changes its shape and size, same goes to the concept of ” Poornam ” – Complete and infinite , everything comes from completeness, what remain will be same. If we can remove one drop of water from ocean, it still have many drops of water, what remain will be endless drops of water. This ocean is like Infinite and complete like almighty too, that clearly defines laws of infinity is itself came from the sound of OM, that is itself complete and infinite in its formation and many of an individual form and sounds can be emerged . 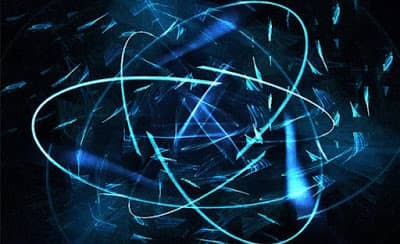 Even if we remove one sound from it still many sounds will be there in it.Its just like a nuclear fission reaction and it keep going on inside this OM. Thus, “Purnamadah Purnamidam” can be interpreted as Supreme Brahman Tatva and the Individual Tatva are both Complete and infinite and are one form of another, replica of one and another. ” Purnat Purnam Udachyate ” meaning : from this Supreme Brahman Individual Tatva is emerged. It appears, then, that the assumption of nothing implies an infinite, four-dimensional expanse of space and time (not yet spacetime, which is significantly different)— still nothing, to be sure, but at least a somewhat more interesting version of it. To take another step toward existence, it is necessary to examine this curious notion of infinity that is inextricably bound to the assumption of nothing. 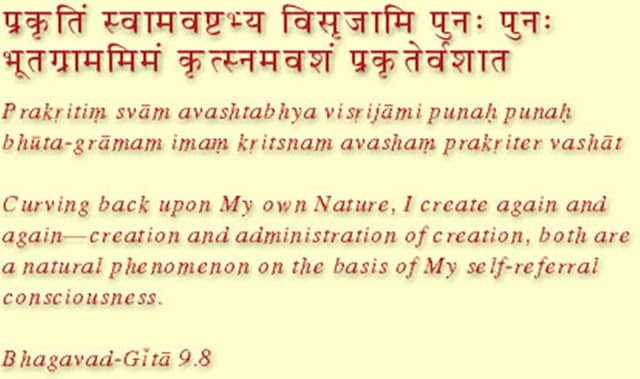 This clearly shows Physics originate from Nature laws and principals and acting as another form of Upanishads. 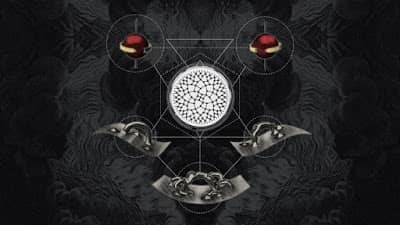 Most of the renowned laws of physics came from Upanishads.If one can able to understand Upanishads deeply he can easily understand how science is relative to our scriptures only the nature or form of science is different from one another. 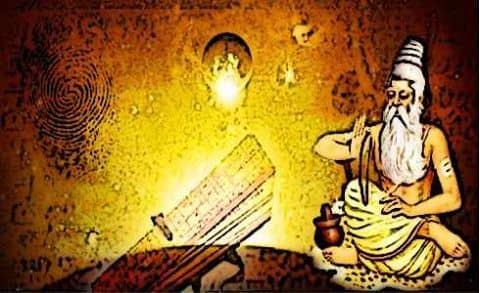 This Short article is for those who use science as an authenticating tool for validating non physical or Metaphysical phenomena of Sciences (i.e Jyotish, Meditation and mundane etc) as Mythological or Imaginary sciences. Now try to apply same principals in human body in terms of Frequencies, vibrations and energies, If you want to understand how a physical body work in Physical plane or how you send positive or negative signals to Universe.This is the way to understand it in simpler form. 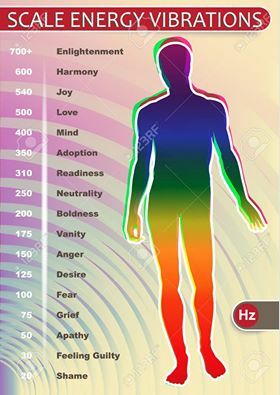 In Physical reality You are a living light body in Subtle Energy form or living in an Quantum Energy Form like many other Bodies, you also vibrates certain amount of frequencies to universe and intensity of your actions or Karamas decides how much frequencies you send to universe. your Soul is Quantum energy living inside your Body, your body is form of an Atom attracts or pulls other atoms in your life. 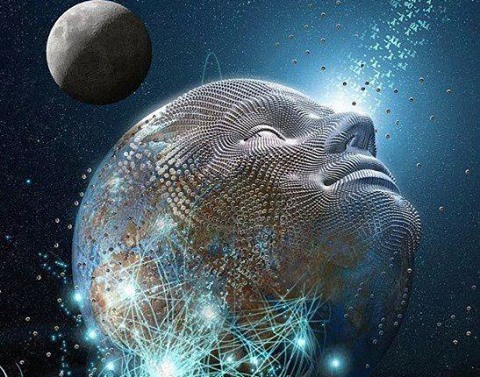 Your Positive/Negative thoughts Sends Energy Signals in spiritual space plane, your moods, thoughts, actions and feelings generates certain subtle level of frequencies and vibrations those are keep travelling in spiritual plane. Your 7 chakaras Vibrates at certain amount of frequencies and releases energies in Universe. Your thoughts travels in Space plane in energy form and invite Negative and Positive Entities/People or energies in your life. So watch your actions and thoughts. In Short, Your Body = Atom, Your Soul = Subtle Light Energy or Quantum Energy, Karma = Frequencies you Generate and Thoughts = Energies you send and Chakara = Vibrations. Moral ethics of Astrologer: Who is true Jyotish ? Qualities, Moral ethics and Spiritual nature of astrologer, Long pending query keep enquiring my state of mind and an observation since i have started my journey in Jamini and Rest of other Jyotish systems 15 years back. Who is true Jyotish ? Long pending query keep enquiring my state of mind and an observation since i have started my journey in Jamini and Rest of other Jyotish systems 15 years back. I Personally believe real motive of Jyotish (astrology) is to share divine wisdom, spread a light of guidance and shower a positive ray of spiritual hope when a native is in middle of path, when he don’t know where to go and what to do or what to choose in a state of dilemma of life.Irony of Modern Day Astrological system is now a days it is becoming more of kind a Materialistic science rather than a Science of divine light.The cause of Jyotish is to Show true path of karama one can able to bring in his life. Absolute path of jyotish is truth thats why Its karka is Guru and ketu. Its more of kind a Karmic science rather than a Consulting science and real purpose lies in understanding Karmic sufferings, lessons and true goals of of Soul(atma) that’ why Seers given AK as the highest Spiritually enlightened planet to show the path of truth-fullness via own learning, mistakes and Sufferings. Body is bound with Atma without purity of Atama body always remain in sins, diseases and debits. Our Ancient Sages made this divine science to help and understand the karma and fruits and hardships connected with the process of life cycle.Simply to see root cause behind every action behind karmic backlogs. It is nothing more than a karmic Science but essence is purely based on divine vibrations to get better understanding on life situations, not purely materially but to have complete understanding on deep reasons behind its spiritual cause. In My opinion a “Jyotish (Astrologer)” must be well enlightened in Spiritual beliefs systems to guide native into true path of Spirituality and harmonize its material understanding so that one can able to provide itself a complete balance in its life. He should have good understanding on both the life prospects. He should know what is good for the native overall grooming. Its Ultimately an ability of a divine Astrologer who can really help or inspire you to step ahead in life via his divine blessings given as an Almighty gift to him.Astrologer is not a magician, neither he can change anything via his deep understanding on planetary, neither he can bring any magic in your life, Only thing he could able to do is to guide you in right path of Spirituality with perfect harmony in life with right guidance, precautions and Karama understandings. Only he can do so is to inspire you or able to set or channelize all your energy in right karmic path to get success in both life( Spiritual as well material ). Keep Remember its the God who is dispenser of all the fruits to the one who deserves based on his karmas.We are nothing we are just a channel to inspire people. When you are studying hyper sensitive Phenomena’s of Nature and its impacts on earth environment wrt to Mundane Astrological principals, we must be keen observer in sky as well in space. Nature is something that works on vibrant mechanism. Although there is none other way to understand how nature rather than keep watching and observing its core structure via modern technologies and instruments. Nature is actually works on the principals of Vibrations, frequencies and energies formations. Electric charge is always present in nature but in neutral state rest of the positive and negative charges at sudden can outburst any time. If we simply try to understand what actually nature is for that purpose we need to dig deep think from both prospective i.e Spiritual as well as physical. What i believe is everything that includes or works in a perfect harmony to each other without distributing life cycle and elemental balance of the living being and non living being is called Nature. Everything is considered in Nature from trees, plants, Living beings, Humans, Micro-organisms, Star, Planets, Sky, Weather and the 5 Panch tatvas and the science which deals it with is called Medini or Samhita used for studying factors of nature occurring in earth and in space. According to Vedic Principals, world consists of Agni i.e., fire or heat and Soma (Varun) i.e. 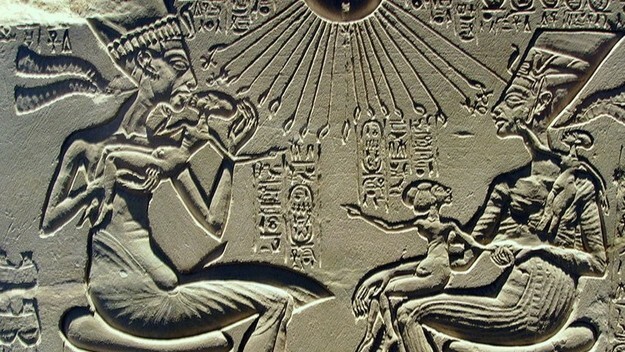 water, 12 forms of Sun (Surya – aditya ) and is the soul of all for those are being and for those who aren’t living being. Nature controls by Indra who is most powerful god and who kills Vritra, the symbol of cloud to free waters. Vritra means one who covers and is derived from the root vri, to cover. According to R.R.M. 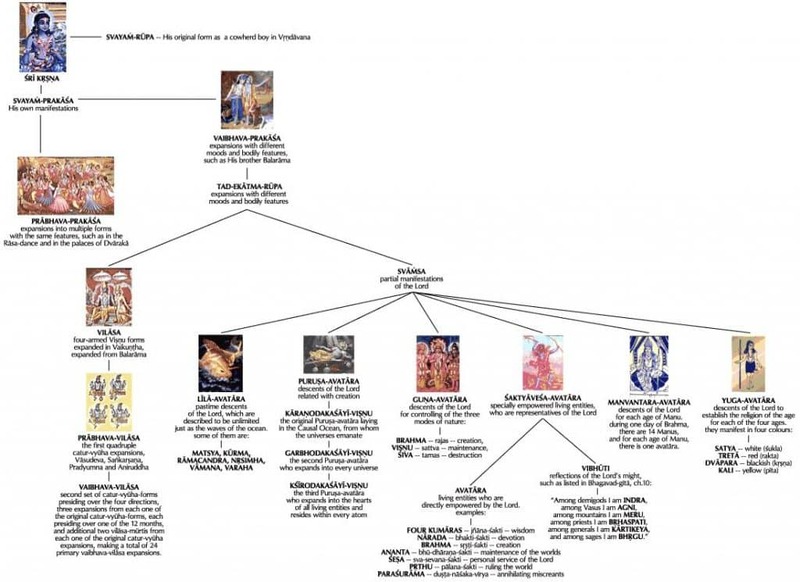 Roy the main force of expansion in the Vedic cosmology is Indra, and his chief adversary, the main force of contraction, is Vritra and Maruts are Indra’s associates. Vedic seers pray boldly to these natural forces and aspects for bestowing plenty and prosperity on them. devi Aditi is praised as Devamata – the mother of all natural energies and she symbolizes the Nature and forms of water is considered as essential to all forms of life. All the 5 elements are merged in Prakrti. According to the Bhagavad Gita, the basic nature of intelligence by which the Universe exists and functions is called prakrti. It is described in Bhagavad Gita as the “primal motive force”. It is the essential consituent of the universe and is at the basis of all the activity of the creation. In sankhya philosophyprakrti is comprised of eight elements: earth, water, fire, air, space, mind, intellect and ego. It is characterized by the three gunas: sattva, rajas and tamas. prakṛti is female while purusa is male. According to the ancient Vedic science of ayurveda the three gunas — sattva, rajas and tamas — as the pertain to the human physiology are called doshas: kapha, pitta, vata. The balance or imbalance of these doshas defines the prakriti or nature of one’s body. This way we can understand how vedas has presented Prakarti in scriptual form and how 5 elemental properieties are binds with nature. For understanding nature and its impacts wrt earth one must be expert in observing Astronomical principals occurring or triggering in above our sky just to see how these alignments and relations have Direct/Indirect relations with the earth. for e.g Many people says Planetary movements have no impact on Mundane events occurring on earth- My Question to them, if it is the reality and the only reason than why during the eclipses we see high tides, Heavy Rainfall soon after Eclipses within a day or in week, why we observe Sudden weather changes in atmospheres, why Sand storms hits, why Rain storms occurs, why cyclones near coastal areas triggers during eclipses and many a time why we observe certain seismic activities soon after eclipses. Why most of the mudane events occurs after retrogression phases of slow moving planets. why fiery and watery trine conjunctions produces Cyclonic or Supernova like explosions in both ground and in space. My question is much simple why everything after Astronomical events why not in between or before these astronomical events ? Now question is What actually is natural electric charge ? 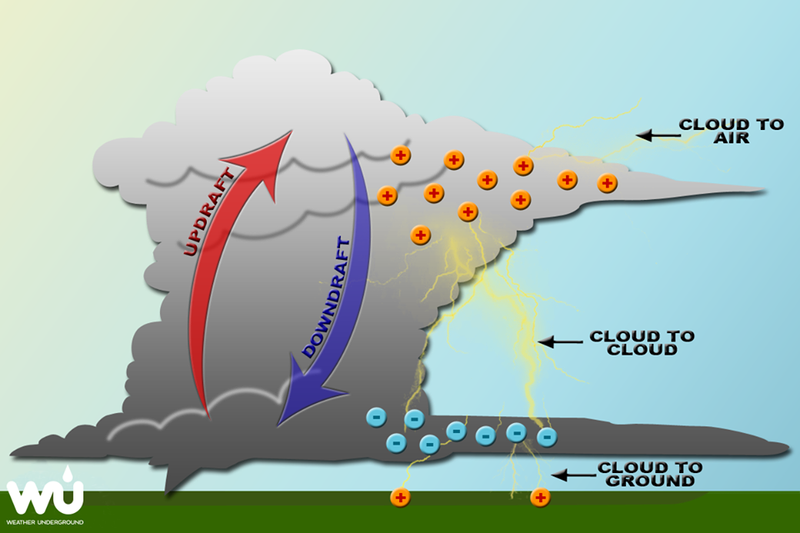 In simpler language Mechanism by which the Apah (Moisture based water i.e form of water in air (Vayu)) undergo in the clouds produces Vidyut (electric charge) and according to modern Meteorologist during occurrence of very violent motions within a large cloud produces Electrical charge. When two substances are in violent motion with respect to each other, the parts are often found to be electrically charged, thus reason for producing lighting and heavy rain. According to Vedic Meteorologists all sorts of clouds have no tendencies to produces electrical charges only the clouds formed via vapours evaporated by the radiation heating from the sun become electrically charged.Reason waters on being evaporized by radiation heating from the sun get electrically charged that’s why we called Apah. ” Because you are sent forth (Evaporized) by the Varuna (Radiation heating from the sun) and you have condensed so well. Indra ( Electrical Charge) possess you, you are, there fore called Apah ( Charged clouds) “. When these Apah set to move violently are called Pravatas (floating clouds). Since the electrical charge is produced in the floating clouds ( Pravatas), vedic seers named as “Pravatonapat”. 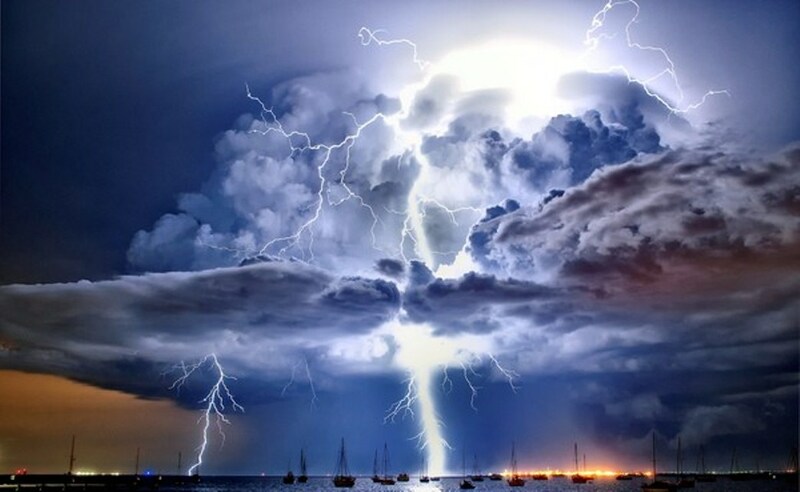 From all these explanation it is easy to conclude why Vedic Seers Called the electrical charge produced in the clouds formed from vapours evaporated by radiation heating from the sun as Indra. Reason is, Here Indra is acting as representative from the sun to act as charge producing agent in moving clouds to produce heavy rains. This is the only reason why lord Indra called as Rain God since from vedic era and in modern language it is the most important physical force required for the heavy rain for producing thundering at same time because of its charging ability and sometime it is act as main factor for triggering heavy earthquakes when eclipses triggers in Indra and Varuna Mandala Nakashtras. I Hope this will helps to understand why Seers were pure in sync with nature for understanding deeper meaning of nature occurring in space and sky as well.